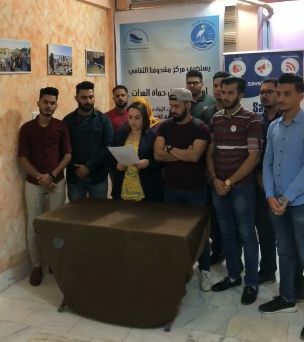 20 passionate youth activists from cities along the Euphrates River have established a network of Humat Al-Forat, “Euphrates Protectors”, a new offshoot of Humat Dijlah (Tigris Protectors) Organisation. 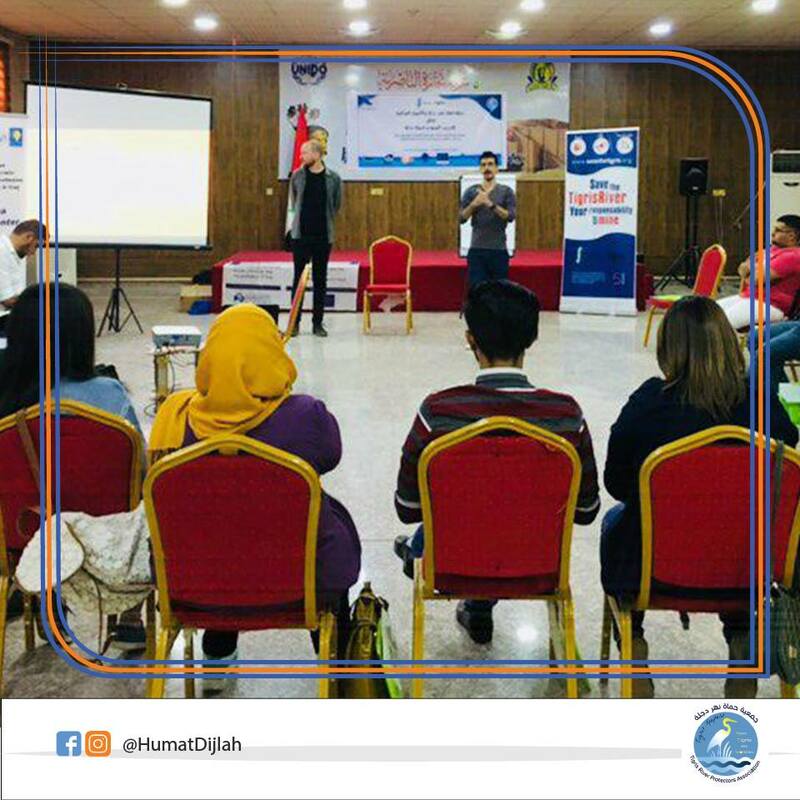 From 2-3 November in Nasiriyah these activists from Basra, Hilla, Najaf, Nasiriyah and Anbar gathered together with youth from Amara, Diyala to announce the formation of their network at the Mashufna Cultural Center in Nasiriyah. 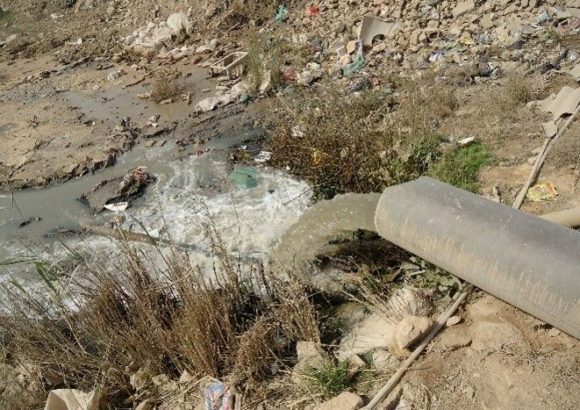 Governorates and cities in Iraq face a whole range of environmental and water issues, differing per location. The causes and solutions however often lie beyond their immediate environment. To support water activism along the Euphrates River, the Humat Al-Forat network was founded. 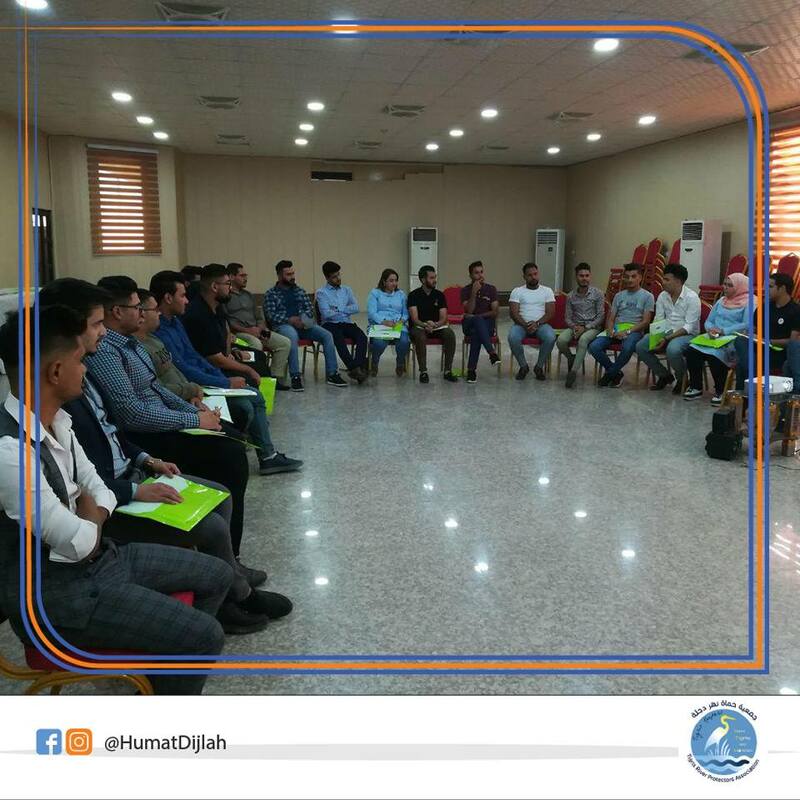 Prior to the announcement the youth took part in a training organized by Humat Dijlah on environmental and water protection campaigning methods, to familiarize with each other and to learn about campaign techniques used by experienced water activists. 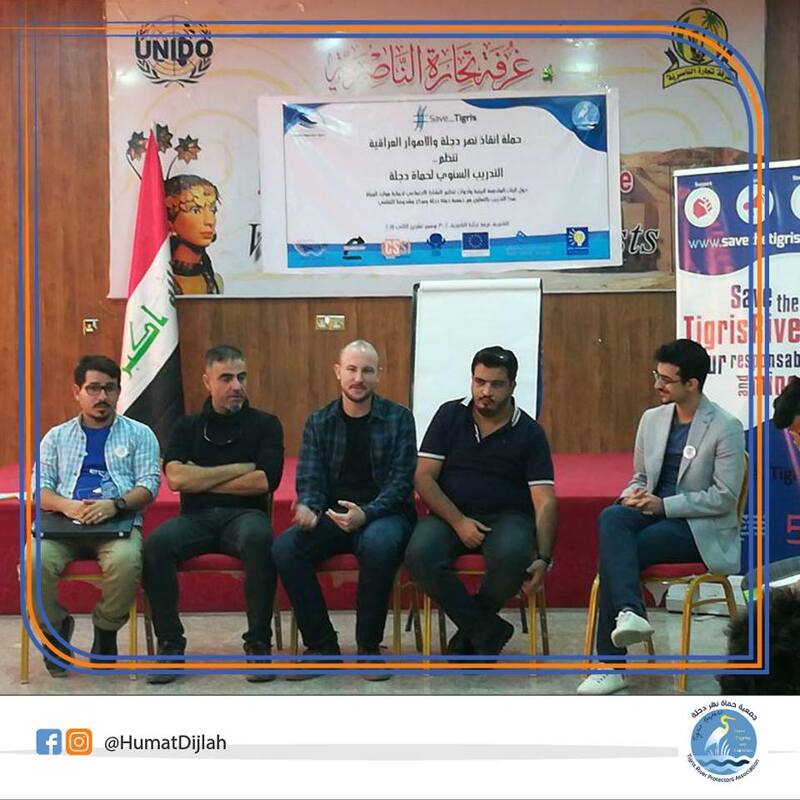 The training was conducted by Toon Bijnens (Save the Tigris Campaign), Nabil Musa (Waterkeepers Iraq), Ali Alkarkhi and Salman Khairalla (Humat Dijlah). The trainers discussed the current internal and external challenges and threats to the water resources that Iraq as a whole is facing, such as large dams, pollution and lack of water management. In the afternoon the participants broke up in groups per city and presented local stories of environmental degradation in their cities. The next day the trainers presented into detail their personal experience of campaigning in water rights, including advocacy tools, networking, relationships with decision-makers, monitoring and reporting on water issues, use of social media and solidarity among activists. The youth came up with new ideas for activism and engagement in their cities as they designed their own local campaigns in the second half of the day. 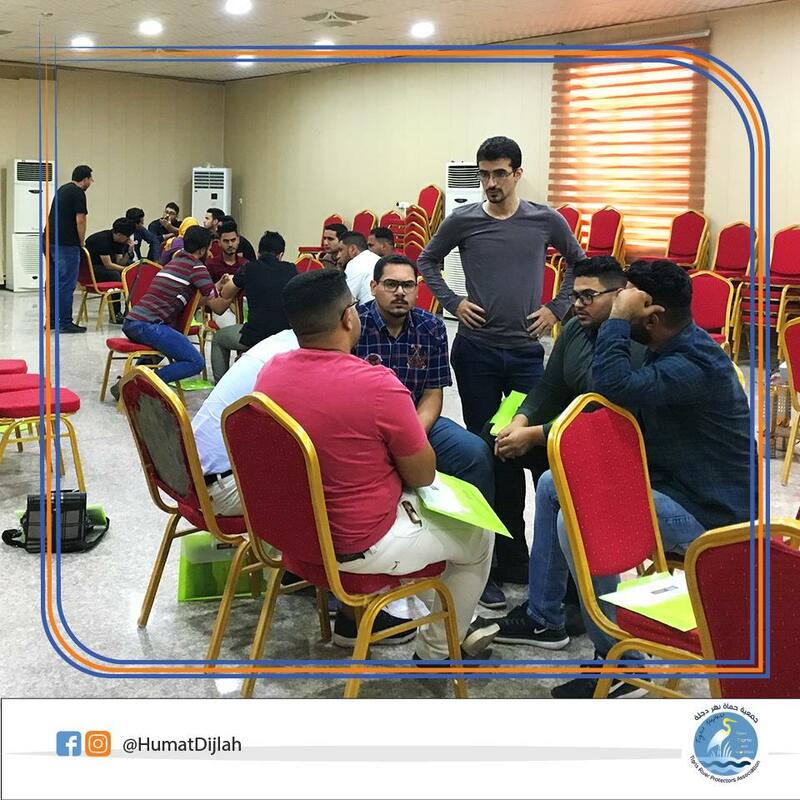 At the end of the training, well-equiped to start campaigning on water and environment issues, the youth announced the formation of Humat Al-Forat and their commitment for environmental change, a new landmark for water activism in Iraq. This activity was supported by the European Union and CCFD.